The Saif Ali Khan, Diana Penty and Deepika Padukone movie Cocktail amy not have got good reviews from the audience, but the music of the film has surely been blockbuster stuff. Must say that this is amongst the best albums to release this year. Add another one to the list of hits by music director Pritam. Tera Naam Japdi Phiran is the latest song that is out on the music channels. The song is sung by Javed Bashir, English Vocals by Nikhil D’souza & Shefali Alvaris. While you must have already heard the song, now watch it with the video. So hear is the Tera Naam Japdi Phiran song from the movie Cocktail. Ayan Mukherjee whose first film Wake Up Sid, along with being critically acclaimed also was successful commercially, is now back with his next film. 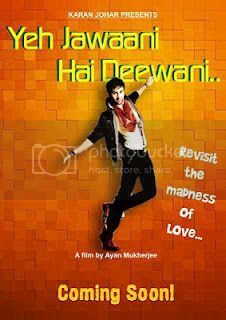 The movie titled Yeh Jawaani Hai Deewani stars his Wake Up Sid hero, Ranbir Kapoor in the lead role. Deepika Padukone, Ranbir’s ex girl friend will star opposite him in the movie. Aditya Roy Kapoor, Evelyn Sharma and Kalki Koechlin will also be seen playing supporting roles in the movie. Bollywood actress Katrina Kaif has been voted as the Sexiest Woman In The World by FHM magazine. The magazine also carries a list of the 100 sexiest beauties of 2012. Winning this award is however not new to Katrina, Katrina Kaif has been previously voted the Sexiest Woman in the World by FHM India in 2008 and 2009. Deepika Padukone prevented Katrina from getting a hatrick as she was voted Sexiest in 2010. After facing dismal fate at the box office with Agent Vinod, Saif Ali Khan is back with his next film. Cocktail is directed by Homi Adajania, who earlier made the much critically acclaimed film, Being Cyrus. Cocktail stars Saif Ali Khan, Deepika Padukone, Diana Penty and Boman Irani, Dimple Kapadia and is written by filmmaker Imtiaz Ali. The music of Cocktai is composed by Pritam and has been well received both by the masses as well as the critics. The trailers have also been received and the official trailer on YouTube, received 1 million hits in just 3 days of its release. Going by the likes of it, Saif Ali Khan, might just get lucky with Cocktail. The latest trailer of the Jugni song sung byArif Lohar & Harshdeep Kaur has a very catchy feel to it and the beats are just awesome, making you to want to keep it in your playlist for long. After the mega blockbuster Robot, Rajnikant is back with his next film and this time he will star opposite Deepika Padukone. 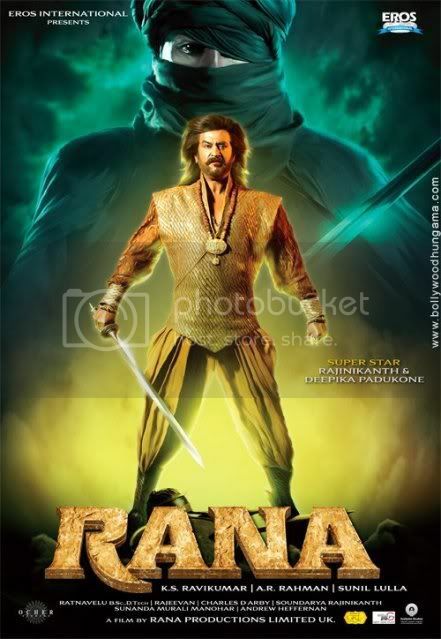 There are always high expectations from a Rajnikant movie, and audiences are eagerly awaiting for their action hero to woo them all over again with Rana. After the disappointing What’s Your Rashee, Ashutosh Gowariker is desperate to make his comeback with a strong bang. Khelein Hum Jee Jaan Sey, Ashutosh’s next film is all set to hit the box office soon. 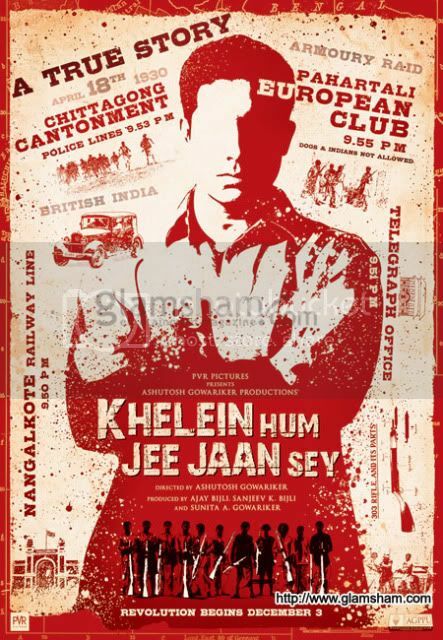 Here’s a look at the first look theatrical trailer of Khelein Hum Jee Jaan Sey, whats your say on the movie. Do let us know.